Attendees had the chance to speak with tech experts and network; festival aimed at spotlighting HK. According to a recent press release, InvestHK, the department of the Hong Kong Special Administrative Region Government responsible for attracting foreign direct investment in Hong Kong, organised a one-week start-up festival. Over 17,000 delegates attended the event and more than 300 speakers, presenters, panellists and performers presented at the Hong Kong Convention and Exhibition Centre. The festival was aimed at bringing together multiple sectors within the technology and start-up community not just from Hong Kong, but from around the world, to exchange ideas and do business. This is supported by a carefully curated programme of events with an eclectic mix of content and speakers. The events this year comprised various different tech and innovation summits and conferences. While the events focused on different aspects of technology and start-ups, the link between them was an emphasis on new trends, fresh thinking and cutting-edge innovation. Director-General of Investment Promotion at InvestHK noted that the level of attendance, the quality of the speakers and the tremendous feedback on the week that we’ve had reflect on Hong Kong as a perfect location for doing business and a truly welcoming one too. At the Healthtech O2O Summit, the Under Secretary for Food and Health talked about moving ahead with a large-scale genomic sequencing project. The Senior Vice President of the Market Development Division at Hong Kong Exchanges and Clearing Limited (HKEX) said that the new rules that have been in effect since last April to make it easier for biotech and healthtech companies to list have helped HKEX to be the world’s leading exchange for the sixth time in 10 years. The exciting news about Hong Kong overtaking New York as the city with the most high-net-worth individuals (HNWIs) – 149 000 HNWIs worth US$769 billion – was received with resounding applause. A region’s number of high-net-worth individuals is an important indicator of the amount of capital available for investment in start-ups. AI and facial recognition technology drew a lot of attention throughout the week. The Co-founder of the leading firm in AI and one of Hong Kong’s unicorns, said that in the past three years, the region it has observed that around 500 million people using this process to identify themselves when opening a bank account, transferring money and for proving identity. The Connected Cities Conference saw the release of KPMG’s new and wide-ranging the Connected Cities Report. The keynote speaker, the Under Secretary for Innovation and Technology said that the Government aims to double its contribution to research and development investment to 1.5 per cent of Gross Domestic Product. One of the highlights of the week was the two-day Jumpstarter, hosted by the e-commerce giant. The Hong Kong Government’s commitment to research and development, infrastructure and talent, investment funding and the ecosystem for start-ups was reiterated by officials. The Jumpstarter competition was won by a Hong Kong-based maker of the Airluna air-purifier lamp. Described as a “lamp that breathes,” Airluna uses nanotechnology to eliminate pollutants at a microscopic scale. 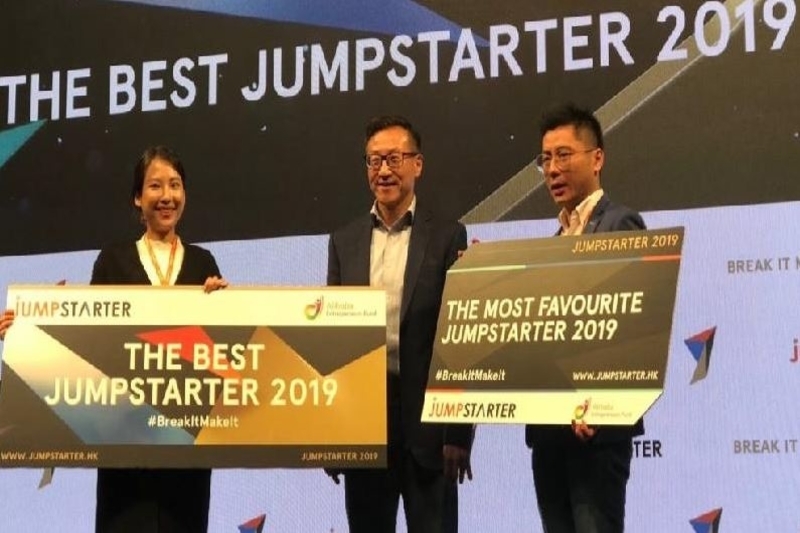 At the Startup Impact Summit, the Head of Strategy at a Hong Kong-based Financial technology company noted that Hong Kong’s regulatory system is commendable because “it’s clear about what you can do and what you can’t do”. It is hoped that through events like these the Hong Kong Government will be able to attract investments in its tech talent and start-ups.